Dress Your Pet Day: Should You Dress Up Your Pet? Today is National Dress Your Pet Day. A lot of these fun daily holidays are harmless, but unfortunately, sometimes they can mean putting your pet in a situation they are uncomfortable with. Should you dress up your dog or cat on Dress Your Pet Day? Well, that really depends on your pet. Here are three things to consider before grabbing a pet costume and slapping it on your helpless pet. 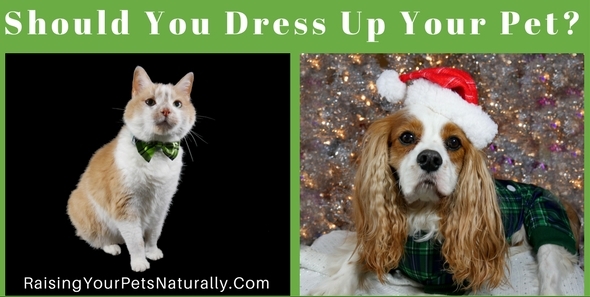 Dressing up your dog or cat doesn’t have to mean crazy outfits or clothing. A simple dog sweater or fancy cat collar with a bow just might do the trick. Please ensure that your pet’s clothing or outfit allows your pet to move and see freely. A pet outfit that prevents your pet from walking with a normal gait or seeing the world properly isn’t very pet-friendly or kind. 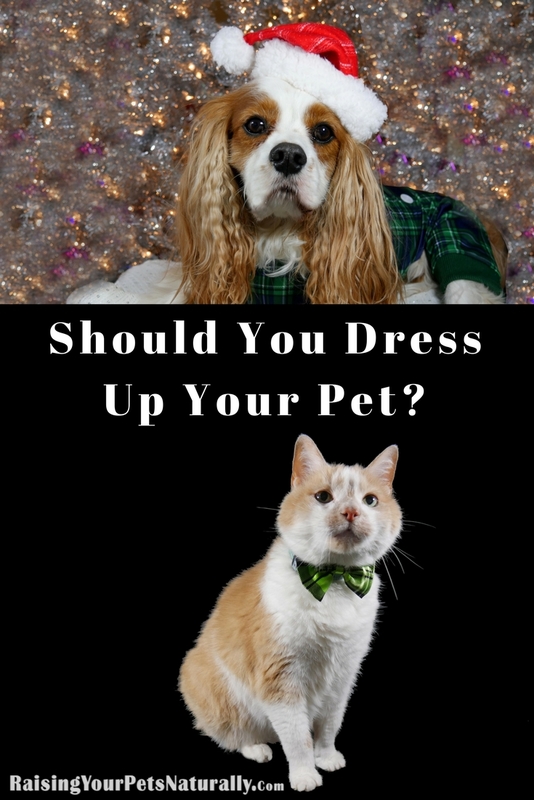 Your pet should really enjoy wearing clothing or costumes if you are going to dress him up. Please. Your pet is there for you day in and day out—don’t show your gratitude by giving him undue stress. 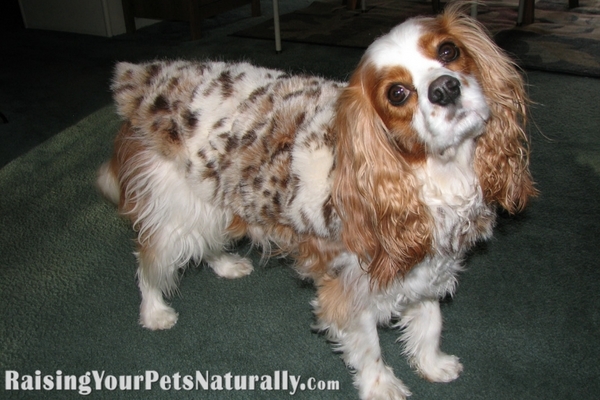 Bonus Tip: If you would like to teach your pet to enjoy clothing or costumes, introduce things slowly and at his pace. For example, loosely tie a pet bandanna on his leg while providing him treats. Stop treating him and take off the bandanna. Bandanna on=food treats. Bandanna off=no food. Build on this concept, allowing the bandanna to be on for longer increments before providing your dog or cat a healthy pet treat. Continue this pet training lesson with other pet clothing items until your pet is happy and comfortable in pet clothing. Does your pet enjoy costumes or clothing? Tell me in the comments.